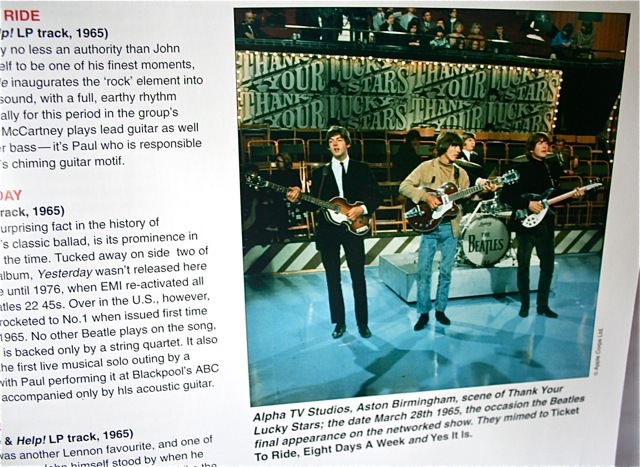 Last time I posted on getting a bargain on the HMV box set of “Sgt Pepper”. 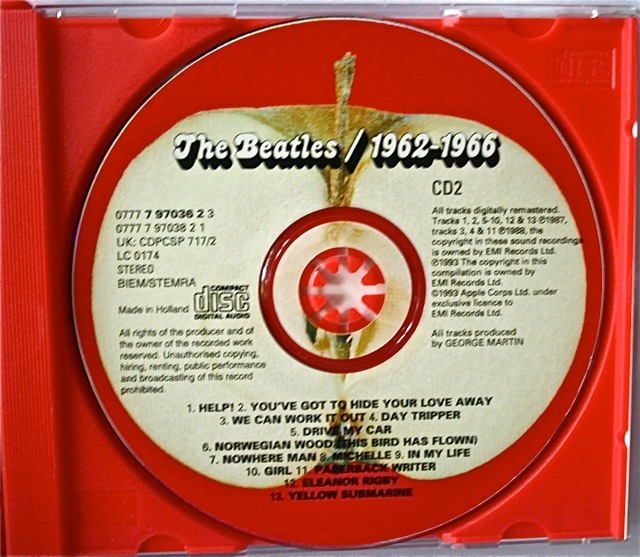 This comes from back in 1987 when the Beatles catalogue was released on Compact Disc for the very first time. 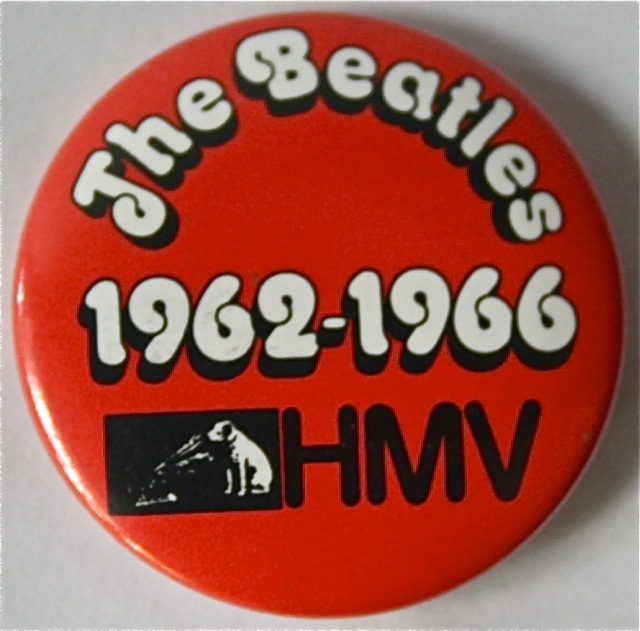 EMI used their UK record store chain HMV to release all the titles in special, limited edition 12″ box sets. 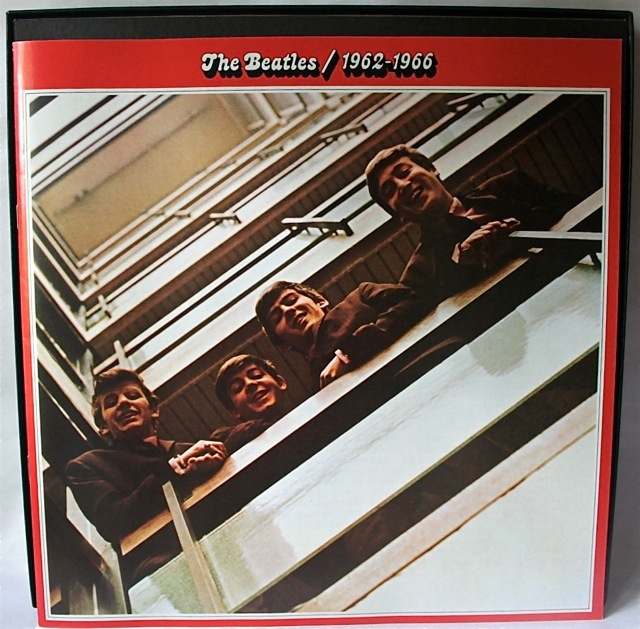 The other set I was able to get at the same time was “The Beatles 1962-1966” (which was issued later – in 1993). 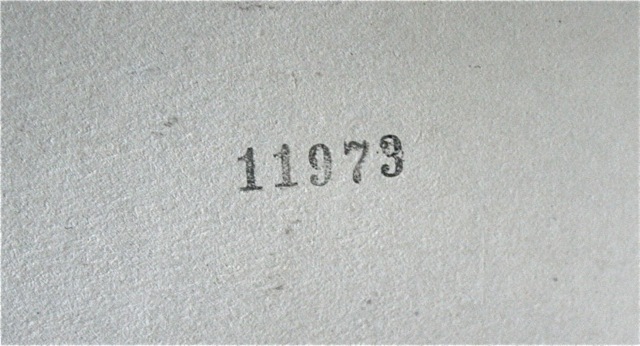 This is a limited edition box with the catalogue number BEACD25/11. 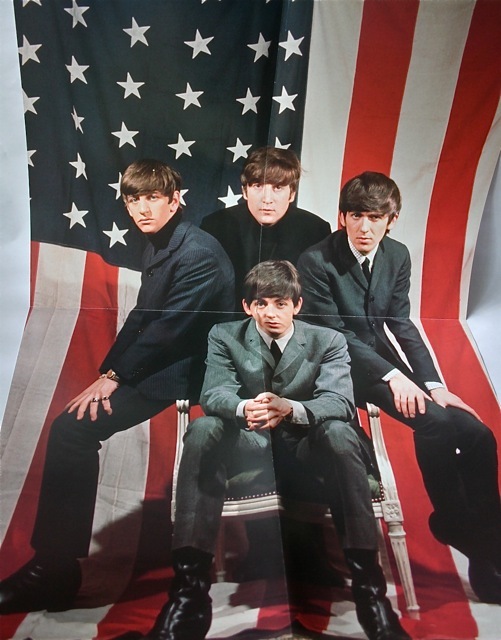 It contains the well-known Red Album double CD set, and comes with a large-format 12-page colour booklet featuring song reviews, a 16″ x 24″ colour poster of the band (posed in front of a big US flag), and a special metal badge. See also the “Sgt Pepper” HMV box set. 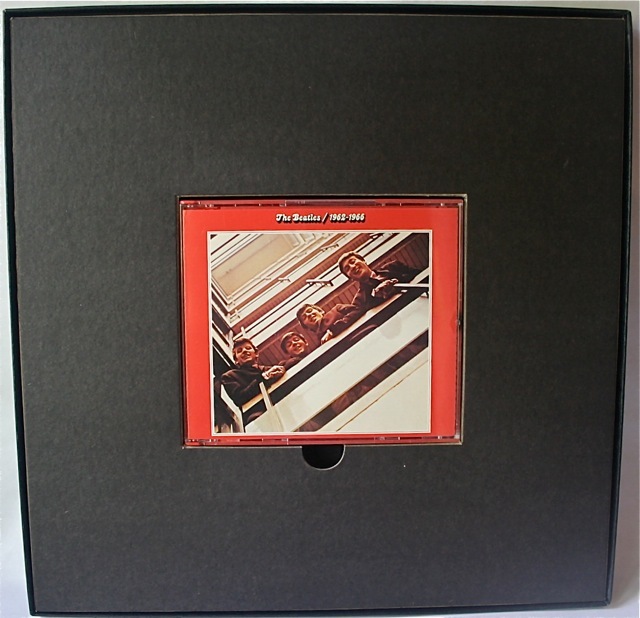 This entry was posted in Beatles, Beatles Collecting, Beatles Music, Beatles Related, George Harrison, John Lennon, Paul McCartney, Rare Beatles, Ringo Starr, Uncategorized and tagged Beatles, Beatles Collecting, Beatles HMV box sets, George Harrison, John Lennon, Paul McCartney, Rare Beatles, Ringo Starr by beatlesblogger. Bookmark the permalink. 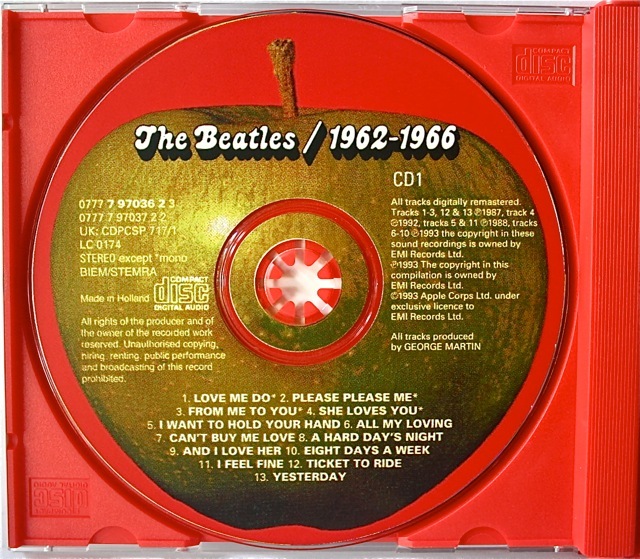 I’m trying to find a 1967 Sony portable TV, model TV9-306.UB, the same one used on the cover of the Sgt Peppers album. The same model was installed in John Lennon’s Phantom V. I’m a volunteer with the Royal British Columbia Museum which owns John Lennon’s Rolls-Royce. At some time in the past, at least 25 years ago, the original TV that was in the rear console in his car ‘went missing’. The museum would like to find one to fill the empty hole there now. If you have any leads on one I would greatly appreciate hearing from you. Thanks, Jim Walters. Hey. I love your site. Lots of neat stuff. 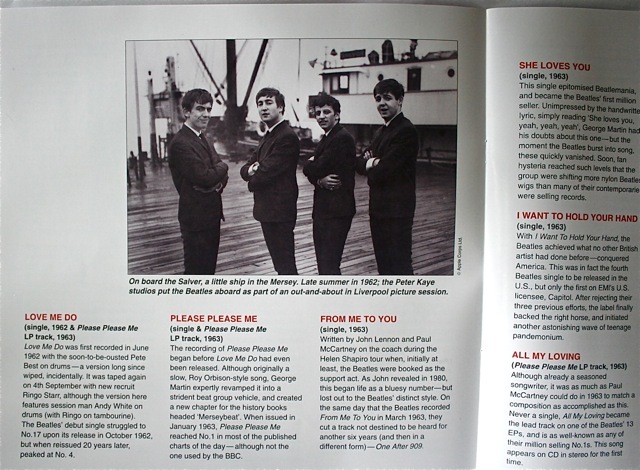 Incidentally, the Red and Blue albums were released on their 20th anniversary. I was in London in Sept ’93 when these two bad boys came out and went to the Oxford St HMV to grab them, (which has now just shut down). Can someone tell me how this exists when I thought it was understood that the red and blue compilations were not released on compact disc until 1993? I thought that was why there was so much excitement for them to the point they charted as well as they did in particular in the U.K.? Hi, apologies. You are correct. 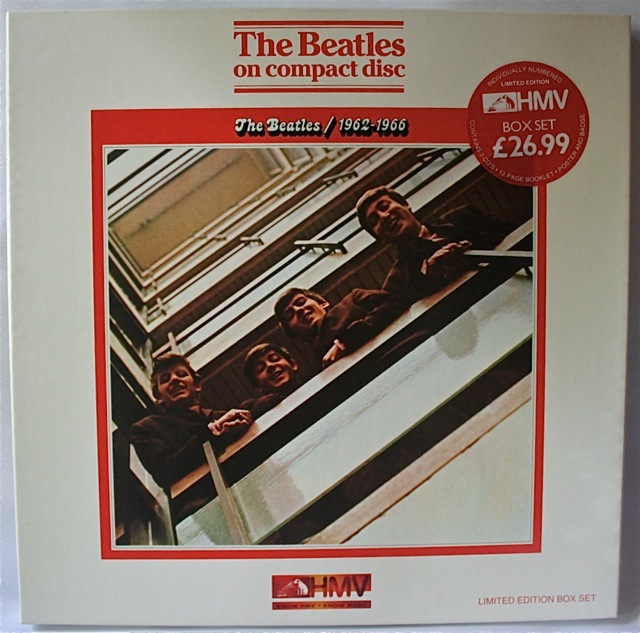 While the bulk of the Cds in the HMV box set series came out in 1987/88 to celebrate the Beatles being on Compact Disc for the first time, the Red 1962-1966 and Blue 1967-1970 sets actually came out later – in 1993. Thanks for poiting that out. We’ve corrected the article to reflect this.